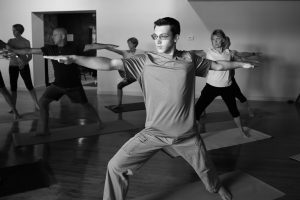 Yoga 4 All’s purpose is to enhance the health and fitness of our community by sharing the numerous documented benefits of yoga with people of every age and ability. Our mission is to promote wellness and mindful living in the lake country area creating a ripple effect as our students carry this message of peace and tolerance out into the world. These classes introduce the beginner student to yoga and provide a slower paced, more gentle class to those looking to restart their practice. See Yoga Basics, Gentle Yoga, Alignment Yoga, Intro to Yoga Fitness, Gentle Yoga for Deep Relaxation. Our gentle yoga classes can help you alleviate stress and activate the body’s natural healing centers. See Gentle Yoga, Therapeutic Yoga, Restorative Yoga, Alignment Yoga, Gentle Yoga for Deep Relaxation. Our fitness-oriented yoga classes are a great low impact form of exercise. Our multi-level courses are designed to meet the needs of all participants. See Vinyasa Flow Yoga, Yoga Fitness, Intro to Yoga Fitness, Pilates, Senior Strength, My Kinda Yoga. Periodically we offer meditation and mindfulness sessions at the studio. See Workshops for upcoming classes. We offer a variety of other classes including tai chi, qigong, self-defense, somatics, acupuncture and more. See Workshops for upcoming sessions. 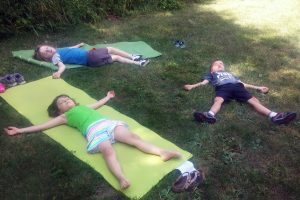 We would love to host your school or child care group either on-site or at our studio for specially designed yoga, meditation and mindfulness classes. See Kids Classes.